Dissections are a great way to introduce comparative anatomy to middle and high school students. They love to see relationships between their bodies and other organisms and they are always blown away when you tell them that so many animals and humans are similar in structure and function. If you’ve felt some trepidation in the past, make it your goal this year to try out dissection – real or virtual – with your kiddos in the classroom! We like to do dissections as a culminating activity to our Human Body unit, but you can do it wherever you think it fits into your curriculum! Here’s a few tools from our toolbox to minimize your stress around the dissection mayhem. For the week prior to the dissection, use our Scienstructable 3D Dissection Models to get students acquainted with the organs of the organism, learn some comparative anatomy, and let them explore how the dissection actually works. 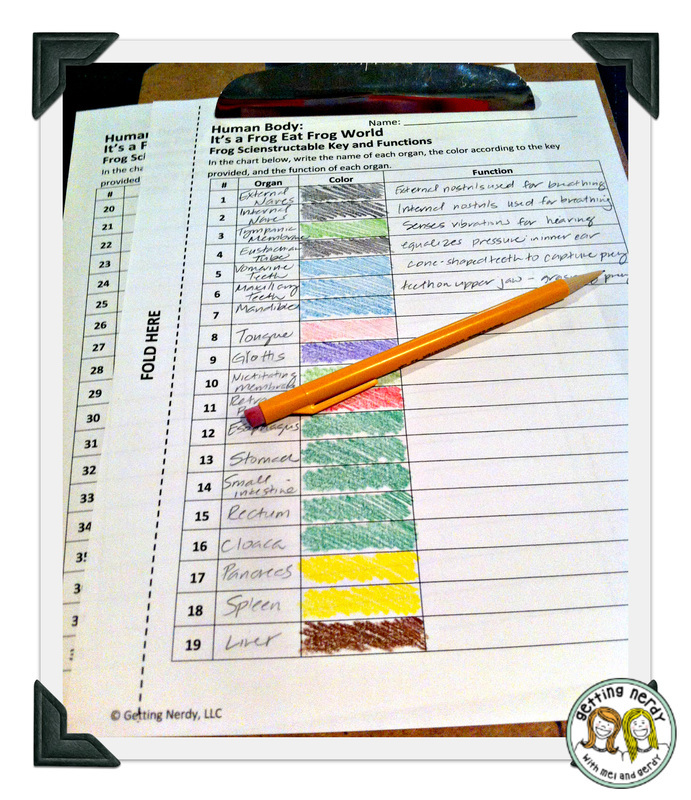 We start this lesson by having students color code the organs according a specific key that we give them. The color coding is also specific to each system as well, so students can see how the various organs relate to each other within an organ system – all of our models use the same colors for the various systems so this is great for comparative anatomy as well. Then, we have students complete the reading and identify the function of each organ they have in their specimen. Once they’ve shown that they have completed this step, we allow them to move on to coloring and cutting out their organs and assembling the models following very specific directions (we suggest doing this as a class). Extension questions follow to test student knowledge. When students are all done with their paper models, they will have a manipulative paper model that is just like dissecting the real thing. Allow students to utilize their Scienstructable 3D Dissection Models to prepare for the dissection, and we even include a couple of class models in their lab practical (mentioned in tip #5 in this post). It’s a great project, the students love it, and it truly prepares them for the big exploration day! 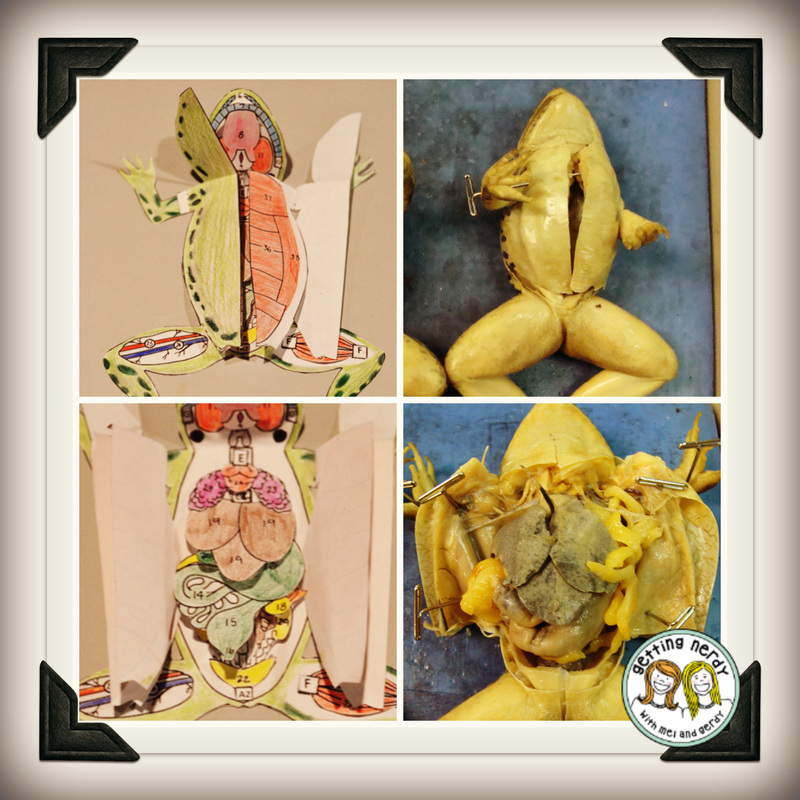 Read more below about how we get ready for dissection in the classroom! Our 3-D models are pretty true to the actual dissection, taking students from the external structures, through the muscle and into the internal structures. You can find them HERE in our store. GET PREPARED: Again, we highly recommend assigning your students a Scienstructable 3D Dissection Models so they walk into the dissection with loads of knowledge about the structure and function of each organism’s anatomy. Whether you choose to complete a model or not, spend an entire class period prior to the day of dissection reviewing organism anatomy. Use an introductory PowerPoint or an online site (head over to Animalearn’s Science Bank for a HUGE list of digital options) to demonstrate the dissection and the tools and safety procedures they’ll be using. Give them a quick glance at the actual specimens as well so they can prepare themselves for the event. Be sure to mention any concerns about horseplay and consequences and how the specimen and any “loose parts” stay on the dissection tray. In our class, we like to tell our students the horror story of how one of our old “class clowns” pretended to eat a piece of a dissection specimen and the consequences of his farce. We take lab safety very, very seriously…. Anyhow, maybe you’ll want to reiterate your rules by having students sign a safety/behavioral contract before doing the dissection. Remind your students before every dissection that it is a privilege and not a right to participate in labs such as these, and that if they break a rule from their contract, they will be removed from the lab setting and placed in another room and given an alternative assignment. You’ll almost never have issues with behavior because your students will be so excited to participate, but if issues do arise, you’ll be prepared because you have your protocol in place and they will know the repercussions of their actions. GROUP ‘EM: End your dissection review with a quiz on some of the main facts about the organism’s classification, and any safety and dissection procedures you have in place. Use the student quiz scores to group your students so that everyone has ample opportunity to learn from and teach one another. When making groups, you’ll save yourself some headache if you limit your groups to about 6-7 per class. While this can be hard given huge class sizes, in the end, you’ll avoid spreading yourself out too thin. SPREAD IT OUT: For the actual dissection, cut yourself some slack and complete it over two days. 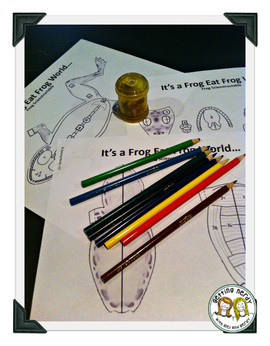 Place your students in their groups with the following tools: dissecting scissors, pins, probe, forceps and that’s it! No scalpels – scalpels are too sharp, too scary, and in the end, scissors will always do the trick. We have found that middle school kids cannot handle the responsibility, so save you some headache of worrying whether one kid will ruin the experience for all the others. On the first day, allow students to explore the external structures and structures pertaining to the mouth or other externally-located internal structures. Give them a checklist that has each of the structures identified for them with a place for your initials. Have them locate and discuss aloud the functions of the external structures until everyone in their group feels comfortable with them – as a helpful tool, they can use their notes from the dissection review or their 3D models, too. QUIZ ‘EM: When the group is ready, have them raise a hand. You can then head over to their table and quiz them on the structures they were assigned to learn. Sign off on or initial each organ they get correct – this way they get a group grade on the dissection and everyone is held accountable for the material. You can quiz them as an entire group or ask individuals within the group – and if someone gets stuck, they can call on their group mates to help them out. Once they’ve nailed down the external features, they can move on to exploring the mouth and again practice and review the locations and functions until they are ready for the mouth structures quiz. Once all quizzes are over, have students clean up their lab stations and place their specimen in a plastic bag to be saved until the next day. If resources and money are tight, you can use the same specimen for each class period. Often times, especially when our dissections coincided with other school activities like pep rallies or other programs, we would have the mouth pre-dissected/cut such that students would be allowed more opportunity for exploration and quizzing. On the following day, place students in the same groups and hand out a new sheet with the internal structures. Review the safety and dissection procedures again have students open up the organism. Make sure your students are on the right track by circulating the room and providing feedback on their dissection process. Repeat the process above by having students work together to explore, review and quiz on another on the structures and functions of the internal anatomy. Once they’re ready, instruct students to raise their hands for their group quiz. Again, if you have time constraints, pre-dissect the specimen and instructs students to not remove organs to ensure specimens can be used with each class period. When clean-up time arrives dissection specimen are saved in plastic bags again because on the last day, you’ll give your lab practical! TEST ‘EM: For the lab practical, use as many of your dissected specimen as possible – this will save on cost and time. Place the specimen around the room and cover them in wet paper towels to keep them moist. Pin both internal and external structures for student identification and on their quiz, be sure to ask questions about the function of structures, the organ systems they belong to, etc. For your on-level or below-level students, provide them with a multiple choice format or word back to choose from – your challenge students can receive a standard lab practical where they must identify structures without any assistance. Our typical lab practical had students rotating through lab stations every 2 minutes with students not at a station busy working on the multiple choice questions that don’t require the actual organism to examine. If you’d like more tips on using Scienstructable 3D Dissection Models, check out our blog post explaining why these models should be used in life science and biology. We have tons of authentic dissection paper models HERE. We’ve got everything for elementary grades (eyeball, earthworm) to middle school (grassfrog, fetal pig, starfish, clam, sponge, squid) and high school/college (the elusive cat, crayfish, shark, rat, grasshopper). We’ve got new models being created every month so check back often if you can’t find what you’re looking for!